This house at the foot of the San Gabriel Mountains is made of simple concrete block, with a dramatic, cantilevered roof covering the carport. It was built in 1950 on a hillside site that has panoramic views. Wilbur Pearce was a businessman who moved to Los Angeles in the mid-1940s to work for Firestone Tire and Rubber Company. Pearce and his wife, an art teacher had met Wright when they lived in Akron and talked with him about their move to California. When they got to California, they contacted him and commissioned a design. Wright drafted plans in 1955 and construction began in 1955. From the street, the house looks disappointingly ordinary, but up close and inside, it begins to look anything but that. The style is basically Usonian but takes advantage of the sun in a unique way. Its curved south face lets the some come in all day long. The polished concrete floors are Wright's typical Cherokee Red, inscribed into squares. The house has two bedrooms and two bathrooms and occupies 1,988 square feet. The small entry area keeps visitors from lingering there and moves them quickly inside. The layout is three sections. The central workspace is rectangular in shape and opens onto a terrace. The living room has one curved wall facing the promenade, and the wing containing bedrooms and bath have curved front and back walls. A workshop sits next to the carport. The house is built of concrete block and has a carport with a dramatic cantilevered roof, which not only looks good but has no walls or posts to back into, an advantage for anyone with poor parking skills. The house is still owned by the Pearce family, according to a 2013 article in South Bay Digs. Current owner Konrad Pearce is the original owner's grandson and is working to restore the house, saying that when his father transferred it to him, he didn't ask questions but knew it was something he had to do. The Bradbury House is a private residence and no tours are given. It is in the gated Woodlyn Lane community and you can't even drive by. The Pearce House is one of nine Frank Lloyd Wright-designed structures in the Los Angeles area. Wright's work isn't all in the Los Angeles area. The San Francisco area is also home to eight of them, including two of his most important works. You'll also find several houses, a church, and a medical clinic in some of the most unexpected places, including central and northern California. Don't be confused if you find more "Wright" sites in the LA area beyond what's mentioned here. 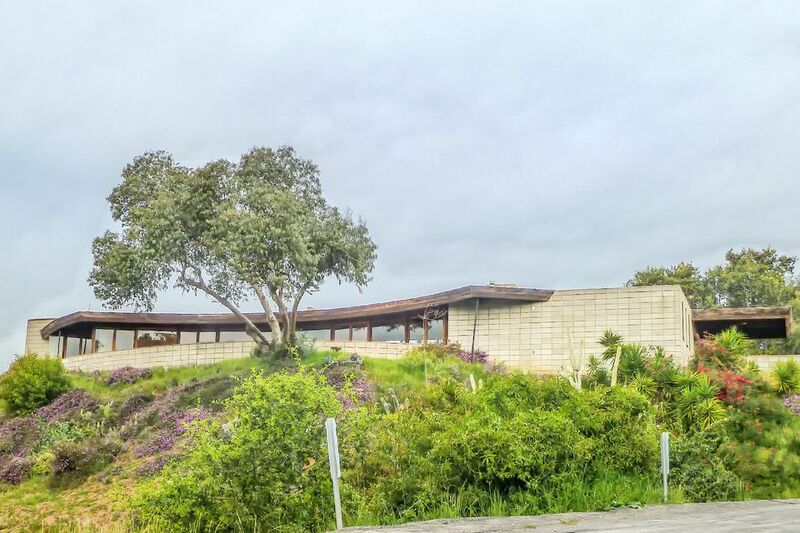 Lloyd Wright (son of the famous Frank) also has an impressive portfolio that includes Wayfarers Chapel in Palos Verdes, the John Sowden House and the original bandshell for the Hollywood Bowl. If you're an architecture lover, there are a number of famous Los Angeles houses that are open to the public, including Richard Neutra's VDL house, the Eames house (home of designers Charles and Ray Eames), and Pierre Koenig's Stahl House. Other sites of particular architectural interest around LA include the Disney Concert Hall and Broad Museum in downtown Los Angeles, Richard Meier's Getty Center, the iconic Capitol Records Building and Cesar Pelli's boldly colored geometric Pacific Design Center. Pasadena is also nearby and well-known for its Arts and Crafts architecture. There are guided tours available as well as self-guided tours.